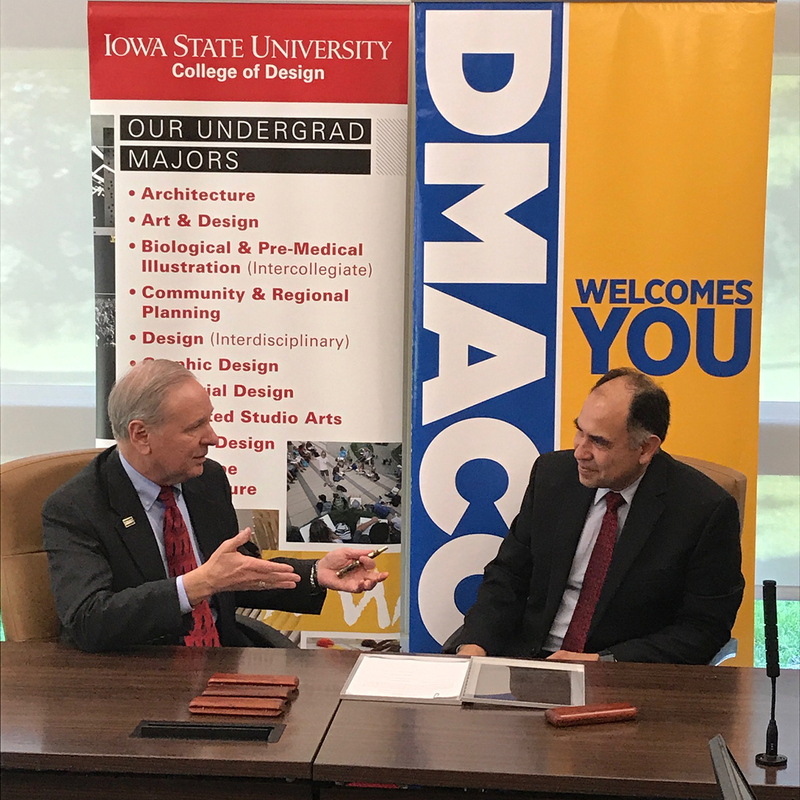 AMES, Iowa — A new agreement between Iowa State University and Des Moines Area Community College (DMACC) will make it easier for community college students to complete a bachelor’s degree in interdisciplinary design at Iowa State. Through the agreement, students who receive an Associate in Arts (AA) from DMACC will be able to transfer to Iowa State to complete a Bachelor of Arts (BA) in interdisciplinary design in as few as two years. DMACC students who participate in the new program will have a clearly defined plan that outlines all four years of their undergraduate study, including exactly which courses to take at the community college and the recommended sequence to follow to graduate in two years after they transfer to ISU. And they will have access to advising at both institutions to ensure a smooth transition to the bachelor’s program. Representatives from Iowa State and DMACC will celebrate the articulation agreement in a formal signing ceremony at 10 a.m. Thursday, May 25, in the Building 22 Conference Room on the DMACC Ankeny Campus, 2600 S. Ankeny Blvd. A brief reception will follow.